Important: A lot of board problems are memory related and manifest themselves either during startup (repeated beeping indicating incorrect, damaged or ill-secured RAM), or during installation of an Operating System (e.g. machine hangs during installation). Please note that boards with the C7 processor do not support individual RAM chips with more than 64MB. Incompatible RAM will read as half the correct size and may cause overheating and instability. We test and guarantee all our RAM to be compatible. Major branded memory suitable *only* for our Mini-ITX boards supporting DDR3 DIMMs. Please use the memory selector underneath the board description to ensure correct memory. Notes: Your choice of operating system may affect how much memory is visible to your computer. All our embedded boards share screen memory with RAM (this allocation can be adjusted in their BIOS). 2GB PC3-10600 DDR3 1333 DIMM, lifetime manufacturer's warranty. DDR3 memory is NOT compatible with DDR or DDR2 memory slots..
Major branded memory suitable *only* for our Mini-ITX boards supporting DDR3 DIMMs and 8GB Memory. Please use the memory selector underneath the board description to ensure correct memory. Compatibility: The ASRock E350M1, Asus E35M1-I Deluxe, Gigabyte GA-H55N-USB3, Gigabyte GA-E350N-USB3, Intel DH57JG, Zotac ION-ITX-P, Zotac GeForce GF9300-K-E, Zotac H55-ITX-WiFi and Zotac Z68-ITX-A-E all support 2 sticks of 4GB DDR3. 4GB PC3-10600 DDR3 1333 DIMM, lifetime manufacturer's warranty. DDR3 memory is NOT compatible with DDR or DDR2 memory slots..
Major branded memory suitable *only* for selected Mini-ITX boards supporting DDR3 DIMMs and up to 16GB Memory. Please use the memory selector underneath the board description to ensure correct memory. 8GB PC3-10600 DDR3 1333 DIMM, lifetime manufacturer's warranty. DDR3 memory is NOT compatible with DDR or DDR2 memory slots..
Small outline dual inline memory module (SODIMM) measuring just 67mm x 30mm and suitable for selected Mini-ITX boards: please use the memory selector underneath the board description to ensure correct memory. Compatibility notes: The Jetway JNC9C board supports 2GB maximum across both slots: valid JNC9C SODIMM configurations are 1GB + 0GB, 1GB + 1GB and 2GB + 0GB. The Intel D425KT and D525MW support 2x 2GB DDR3 SODIMMs and will run at 1066MHz. Not compatible with early versions of Asus AT5IONT-I (which required 800MHz RAM). 2GB DDR3 1333 SODIMM, lifetime manufacturer's warranty. 4GB DDR3 1333 SODIMM, lifetime manufacturer's warranty. 8GB DDR3 1333 SODIMM, lifetime manufacturer's warranty. Small outline dual inline memory module (SODIMM) measuring just 67mm x 30mm and suitable for a small number of selected Mini-ITX boards: please use the memory selector underneath the board description to ensure correct memory. 4GB DDR3L 1600 1.35V SODIMM, lifetime manufacturer's warranty. 8GB DDR3L 1600 1.35V SODIMM, lifetime manufacturer's warranty. Small outline dual inline memory module (SODIMM) measuring just 67mm x 30mm and suitable for the following boards/systems: Asus Hummingbird, Jetway JNC81, ARTiGO A1100, A2000, MSERV 2100, Point of View ION-N330. Compatibility: Compatible with the Intel D945GSEJ, Jetway JNF92-270 and JNF94-270. Not compatible with the EPIA PX / A1000 as they only support maximum 1GB. 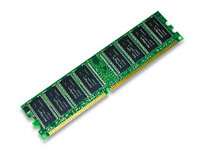 2GB DDR2 800 SODIMM, lifetime manufacturer's warranty. Note: The MSERV S2100 & POV and JNC81 boards have two DDR2 SODIMM slots, the A1100 and A2000 have ONE slot. Compatibility: Not compatible with the Intel D945GSEJT or Jetway JNF92-270 and JNF94-270. Not compatible with the EPIA PX / A1000 as they only support maximum 1GB. Note: NOT compatible with VIA chipset boards (e.g. EPIA CN, EN, LN, SN and EX), though compatible with Jetway JNF76 and JNF77. 1GB PC6400 DDR2 800 DIMM, lifetime manufacturer's warranty. DDR2 memory is NOT compatible with DDR memory slots. Check the number of DIMM slots on your board before purchasing - some Mini-ITX boards only have 1 DIMM slot. Major branded memory suitable *only* for the following 2 DIMM slot boards: Intel D410PT, D510MO, EPIA SN, Zotac ION, 8200-ITX, 9300-ITX, 610i, 630, Intel DG41MJ, DG45FC Socket 775 boards; Jetway JNC62K AMD board, and also the following 1 DIMM slot boards: Intel D945GCLF, D945GCLF2, Jetway JNC91, JNC92, JNF76, JNF77, Gigabyte GA-GC230D, Atom Boards. *Not* compatible with VIA C7 chipset boards (though compatible with Jetway JNF76, JNF77). 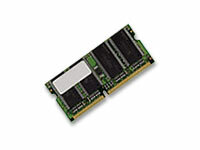 2GB PC6400 DDR2 800 DIMM, lifetime manufacturer's warranty. DDR2 memory is NOT compatible with DDR memory slots. Check the number of DIMM slots on your board before purchasing - many Mini-ITX boards only have 1 DIMM slot. Major branded memory suitable for M61G Thin Client, VIA EPIA M, ML, EK, CL, PD, MII and SP Mini-ITX motherboards, and various other early C3/C7 chipset boards. Don't forget these boards all have only ONE DIMM slot! 512MB DDR400 DIMM, lifetime manufacturer's warranty. No longer readily available - please email us if required and we will try to locate some for you!